I can't believe it is already Memorial Day Weekend! I hope that spring has sprung in your neck of the country and you have a fun weekend planned with your Morgan. I know we have four horse shows this weekend, so if you are attending, good luck! So since we have started show season, that means it's time to focus on the Grand National! We have lots of news from this year's show, check it out! And I've given you the latest list of 3 Star shows for Grand National qualification. AMHECT has added a new youth scholarship in the name of Elberta Honstein, the lovely matriarch of Roy-El Farm who passed away last week. And I was fortunate to be able to attend the opening of the Jeanne Mellin Herrick exhibit at the National Museum of the Morgan Horse in Middlebury, Vermont. If you are in the state from now until December, please try to see the exhibit. It is a wonderful tribute to a Morgan legend. As always, if you have any news you'd like promoted, please let me know! At the request of the Honstein Seybold family, the American Morgan Horse Educational Charitable Trust (AMHECT) is pleased to announce the establishment of the Elberta Honstein Memorial Youth Scholarship. Ms. Honstein passed away on May 19, 2016. Ms. Honstein and Roy-El Morgan Farm have a rich and long history with the Morgan breed. Roy-El Morgan Farm was founded in the early 1960s by Roy and Elberta Honstein. They harvested their love of Morgans through their daughter, Debbie, and then Debbie's daughters, Elberta Seybold and Erlene Seybold-Smythe. Many years and more than 12 world champions later, Roy-El was inducted into the AMHA Breeders' Hall of Fame in 2012. The farm still operates under the third generation's watchful eye to continue the tradition of wonderful Morgan horses. You can still see Roy-El Morgans across the country and at Nationals today! The Morgan community lost a grand dame, a kind and generous lady who inspired many people to get into the breed due to her passion alone. 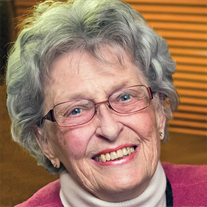 From putting on the Kachina Morgan Classic to being AMHA Woman of the Year to holding many offices and serving on committees for the Grand National, she loved the Morgan community. "It makes us proud to be able to offer opportunities to help the youth in our community through her name," stated Seybold-Smythe. "It would make her so proud." Contributions in memory of Ms. Honstein may be made payable to AMHECT-Honstein Scholarship or by going to www.amhect.org/make-a-donation/ and select "Honstein Scholarship." Details regarding the scholarship will be made available in the coming weeks. 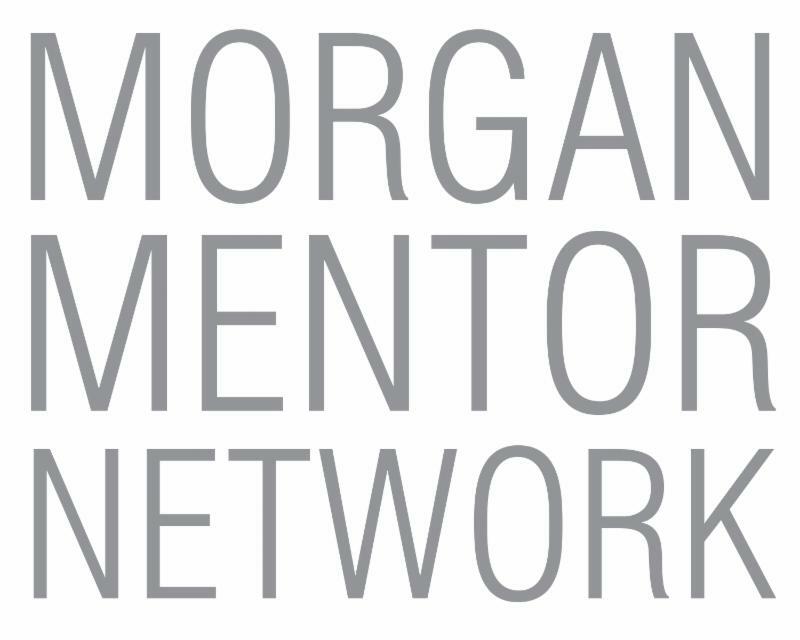 Are You a Morgan Mentor? Do you feel comfortable talking about saddle seat horses or trail riding? Do you love talking about your equestrian art or how you decided to become a judge? Become a mentor and share your knowledge! AMHA is proud to announce the creation of its Mentor Network website, http://morganmentornetwork.wix.com/amha, a free program for amateurs and professionals alike. Everyone is welcome to use this website as a tool to communicate with each other, to brainstorm ideas and to increase their knowledge about Morgans, and horsemanship skills. The goal of the Mentor Network is to bring as many people together as possible to support each other's riding, driving, and equine business endeavors. Our breed is fortunate to have many talented young trainers working hard to start their businesses and to help sustain the future of the breed. Many of these young trainers have expressed their need for more resources on running their business and managing their finances at the barn. AMHA realized it could create an all-in-one resource guide for not only young trainers, but for youth, amateur riders, or any horse owners who want to learn more about the topic of their choice. Here's how it works. You can select a mentor from our list of volunteers and email them to ask a question. This program is voluntary, so they'll respond to you as soon as they are able. Once you initially start your conversation, it's up to you and the mentor to continue it via phone, email, or even to set up a lesson or teaching session. You might choose to email them and ask what type of accounting software they use at their barn, what brand of saddle they prefer for endurance rides, or how to create a balanced work schedule for young horses in training. If you and your mentor have a great talk that others can benefit from, send AMHA your questions and answers to add to our FAQ page. From carriage driving to choosing the right bit for your western horse, our mentors are eager to talk to you and answer your questions. There is no such thing as a wrong question or answer! We are still looking for more mentors! Check out our fantastic array of topics and see if one jumps out at you. Contact Katie Hodges at AMHA at (802) 985-4944 ext. 401 or Katie@morganhorse.com to sign up or to add your question to our FAQ page! In January, the USEF Board of Directors implemented the rule that all owners (or lessees), exhibitors, and trainers of horses participating at Federation licensed competitions in all Morgan divisions must be current members (Standard or Premium) in good standing AMHA. A non-member fee of $45 will be imposed per show if the owner, exhibitor, or trainer is not an AMHA member. If you plan on competing this show season and haven't renewed your AMHA membership, do it today! Go to http://www.morganhorse.com/membership/join to renew or call AMHA at (802) 985-4944. Did you renew at the $40 Associate membership? This does not give you competition privileges. Call AMHA to upgrade your membership. A copy of your membership card must be submitted with all show entries. Don't have a copy? It's easy to download one from our website. Go to http://www.morganhorse.com/membership/cards to get instructions on how to download your card. The Morgan show season has begun! Wouldn't it be wonderful to hear your horse announced as a Grand Champion at your first show of 2016? 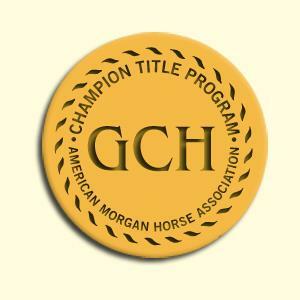 The only way that is possible is if you enter your horse in AMHA's Champion Title Program! To become a Champion, a horse must earn 15 points at any USEF rated all Morgan show or in Morgan classes sanctioned by USEF; to become a Grand Champion, a horse must earn 30 points. Other details apply. The enrollment fee is $75 and $15 for each year of competition points are earned with the maximum of $250 for retroactive enrollment. To read more about this program, go to Champion Title Program. To find out if your horse has the points necessary to be a Grand Champion, call Chris Koliander at (802) 985-4944 or email chris@morganhorse.com. Here's to a blue-ribbon winning show season! Do You Know What Horses are on Your Account? AMHA has made it easy to check what horses are under your ownership just by logging on to www.morganhorse.com! All AMHA members (not including Associate) can go to http://services.morganhorse.com/PortalTools/Login.cfm and follow the easy step-by-step instructions and you can then look at your horse history in the Registry Online. If, sadly, one of your horses has passed away and the death date is not recorded, all you have to do is contact the Registry in writing, either via email, fax, or letter, telling us the name of the horse, registration number, and date of death (month, day, and year). Your horse's certificate no longer needs to be mailed to the office. You can contact the AMHA Registry at registry@morganhorse.com or by calling (802) 985-4944 ext. 571 with any questions. The Young Adult Alliance (YAA) is as busy as ever and is excited to share that we are kicking off the 2016 summer with a new series of events featuring Morgan Trivia. Much like pub trivia, there will be teams of up to four members competing in multiple rounds showcasing their Morgan knowledge. Look for more information in the coming months on our Facebook page and make plans to attend our championship round in Oklahoma City at the Morgan Grand National! YAA is again providing a Judging School Scholarship for any professional or amateur, age 21-40, who has the intent of becoming a Morgan "R" judge. The scholarship offers up to $1,500 in travel expenses and judges school fees, paid out as tuition reimbursement upon successful completion of two judges schools and one learner judging, within a two-year period from December 31 of the year awarded, upon submission and approval of receipts for the monies. For more information and to download the 2016 Application, please visit morganhorse.com/yaa. Members of the YAA Leadership Council include Steven Handy and Kelsey Ramsey, co-chairs; Amanda Hill, Secretary; Ryne Swope, Treasurer; and Representatives-At-Large: Cate Lynch Bevins, Adriana Day, Erica Kemp, Chelsea Lehrbass, Emily Lents, Caleb Noble, Jessica Marino, Merin Maggi, Kendra Peeples, Katie Schafer, and Lila Tatar. If you have questions or would like to get involved, please reach out to one of us or send a message to our Facebook page, https://www.facebook.com/AMHAYoungAdultAlliance/?fref=ts. It Matters Where You Stay! The hotels listed below are the ONLY OFFICIAL supporters of the Grand National & World Championship Morgan Horse Show®. Please book your room at one of these hotels and be sure to THANK THEM for their support during your stay! The 2016 Grand National & World Championship Morgan Horse Show® will take place October 8-15 in Oklahoma City. For more information, visit www.morgangrandnational.com. The following are important notes regarding the 2016 Grand National & World Championship Morgan Horse Show®. This year's show takes place October 8-15 in Oklahoma City. NEW Equine Vaccination Rule. At Federation licensed competitions, horses entering the grounds must be accompanied by documentation of Equine Influenza Virus and Equine Herpes Virus vaccinations within six months prior to entering the stables. See USEF GR845. The winners of the AMHA Gold Medal Finals classes will be awarded a $500 scholarship. NO HOVERBOARDS will be allowed on the show grounds. Any hoverboards on the show grounds will be confiscated. No unauthorized drones will be allowed on the show grounds. AMHA/UPHA OPEN GATE LEARNING CENTER-AMHA has again partnered with UPHA to offer the Open Gate Learning Center at the 2016 Morgan Grand National. The Open Gate Learning Center is an on-site study and learning center for young equestrians who are competing at the show. There will be a drawing for all enrollees for a $500 prize. QUALIFICATION CHANGES-Futurity classes will NOT require qualification. Horses shown in classes for two-year-olds do not require qualification. see Rules & Regs section and Class Specification section for complete qualification rules. ADDED CLASSES-The World Championship Hunter Seat Senior Equitation has been split into age groups. Classes are for 14 & 15 year olds and 16 & 17 year olds. The World Championship Hunter Pleasure Youth has preliminary heats and the World Champion final class on a different day. The Western Dressage division has been expanded and now offers all tests from Introductory through Level 3 and will be held over two days. For more on this year's Morgan Grand National, visit www.morgangrandnational.com. The Grand National & World Championship Morgan Horse Show® is thrilled to respond to your requests and offer the opportunity for honoring some of the greatest show horses of our time. Beginning in 2016, the show will welcome one retirement ceremony per year. An application must be submitted to the Committee before June 15th 2016 (January 1 for following years). All applications will be reviewed and voted on by the Grand National Selection Committee and only one horse will be accepted per year. When more than one application is submitted, the selection committee has full discretion to accept the one that it deems most appropriate, and its decision will be final. For complete details and an application form, go to www.MorganGrandNational.com and click on SHOW FORMS/PRIZE LIST and select http://www.morgangrandnational.com/files/retirement.pdf. Work continues for another great show in Oklahoma City in 2016. As always, we promise there is No Place You'd Rather Be! Competition begins Saturday, October 8 with three shows daily through Saturday, October 15. Show times will be at 9 a.m., 1 p.m., and 7 p.m. each day. For more information on the 2016 horse show, you can log on to www.morgangrandnational.com. The National Museum of the Morgan Horse, located on Main Street in Middlebury, Vermont, has a new exhibit on display. 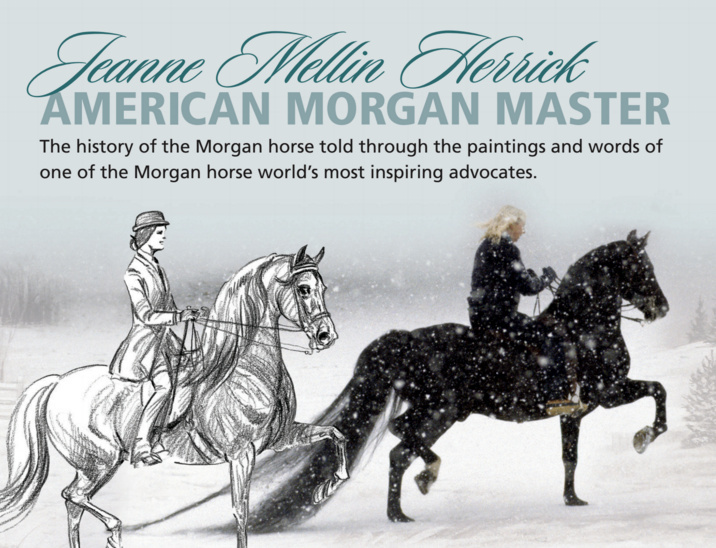 The exhibit, "Jeanne Mellin Herrick: American Morgan Master," focuses on the life's work of one of the Morgan horse community's most inspiring advocates. The exhibit opening and reception will be on Friday, May 20 from 5:30 p.m. until 8 pm. The exhibit features the art and words of Jeanne Mellin Herrick, a well-known person in the international Morgan community, having been active as a noted breeder, trainer, artist, and writer. Her book, The Complete Morgan Horse, tells the history of the Morgan horse and can be found in public libraries and personal collections throughout the Morgan world. The exhibit features many original paintings, drawings, and other works of art by Jeanne Mellin Herrick as well as artifacts relating to the history of the breed. The opening of the exhibit is also a chance for the public to see some major changes at the museum. The museum is newly painted with a movie-viewing area, research center, and a standard Morgan stallion mural on the wall. In the theater area, interviews with Jeanne Mellin Herrick will be played as well as images of Mellin paintings that Morgan owners from the United States, Canada, and England had commissioned will be displayed. The National Museum of the Morgan Horse is located at 34 Main Street in Middlebury, Vermont. It is open Tuesdays through Fridays from 1 p.m. to 5 p.m. and 10 a.m. to 5 p.m. on Saturdays. The exhibit will run through December 2016. More information can be found on the museum's website, www.morganhorse.com/museum or the museum's Facebook page. Please contact the museum at (802) 388-1639 or morganmuseum@gmail.com with any questions. 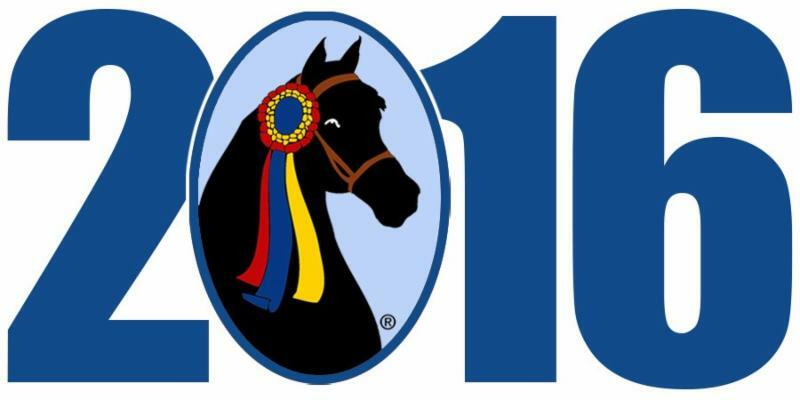 The search is underway for 2016 United States Equestrian Federation (USEF) Youth Sportsman's Award nominees. The award recognizes young equestrians who exhibit exceptional leadership potential, serve as positive role models for peers, demonstrate an ongoing commitment and dedication to the promotion of equestrian sport, exhibit substantial community involvement, and exemplify positive sportsmanship principles. Check out AMHA on Facebook! Did you know that AMHA has three Facebook pages? "Sharing Carrots" has equine news, updates from the Association and Grand National, and other interesting tidbits. "Say Hay" is AMHA's youth Facebook page, with spotlights on Morgan youth and their activities. And The Morgan Horse magazine's page posts news and photographs from Morgan shows plus magazine deadlines and other news. Next time you're on Facebook, check out these pages! 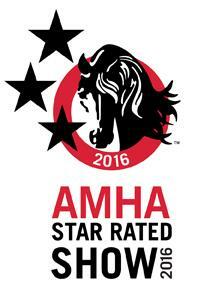 Did you know you can qualify for the Grand National by placing either first or second at an AMHA 3 Star Show? To date, the following shows are recognized 3 Star Shows with AMHA and are qualifiers for Grand National! Please see the Grand National prize list for specific rules regarding Grand National qualification. Go to Calendar of Events and look for "Star Rating Shows" for updates!